The silent representative, the brochure, is as popular as ever. It can run alongside your website to maximise your business exposure. 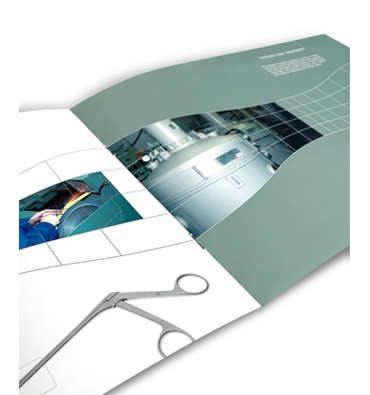 To promote your business and/or product range to your prospective customers a well designed and printed brochure is unrivalled. Available in many sizes, configurations and finishes it can take many forms. Covers are usually of thicker material than the inner pages, to give increased durability they can be varnished for economy, or laminated in matt or high gloss film. For added quality a high gloss uv varnish can be added selectively over a matt laminate.